HelpMeSee Eye Surgical Simulator uses virtual reality to recreate conditions during surgery and allows for immersive training for cataract surgeons. The International Society of Manual Small Incision Cataract Surgeons (ISMSICS) and HelpMeSee jointly announce a series of events for the upcoming Comprehensive Cataract Conference 2017 (CCC 2017), including demonstrations of HelpMeSee’s simulation-based training program to address the shortage of well-trained cataract specialists worldwide. The conference is organized by ISMSICS as host of the 2nd World Conference on MSICS on December 1-3, 2017. CCC 2017 will be attended by hundreds of experts in cataract surgery who will share their insights and experiences in providing quality cataract care. HelpMeSees’ global team will present solutions which support surgical training and patient safety. Both HelpMeSee and ISMSICS strongly support Manual Small Incision Cataract Surgery (MSICS), a high quality, quick, and low-cost solution to end cataract blindness and treat visual impairment throughout the developing world. During the 3-day conference, HelpMeSee will host two scientific symposiums on “The fundamentals of simulation-based training in MSICS” and “Technology-driven community-based approach to cataract patient care to eliminate cataract blindness”. 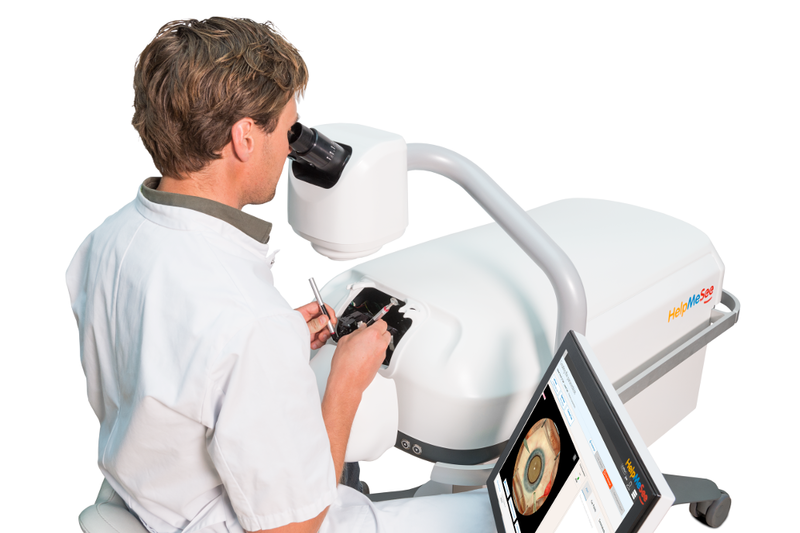 Representatives from HelpMeSee will provide attendees with hands-on demonstrations of its virtual reality Eye Surgical Simulator developed to rapidly scale training of highly-skilled cataract specialists. The integration of this simulator and courseware used in this simulation-based training program is currently underway at HelpMeSee’s Learning Development Center in Mumbai. HelpMeSee is a non-profit organization committed to ending the global health crisis of cataract blindness by increasing access to safe and affordable treatment through high scale simulator- based training. It is estimated that there are more than 100 million individuals living in the developing world who are needlessly blind or visually impaired due to untreated cataracts. HelpMeSee estimates that 30,000 MSICS specialists will be needed to eliminate the cataract blindness backlog.